North Korean leader Kim Jong-un has said he is interested in meeting Donald Trump again only if the US comes with the right attitude, the regime’s state media said on Saturday, after the US president earlier floated the idea. Kim said the breakdown in talks with the US had raised the risks of returning to past tensions, and that he would wait “until the end of this year” for the US to decide, according to state news agency KCNA. 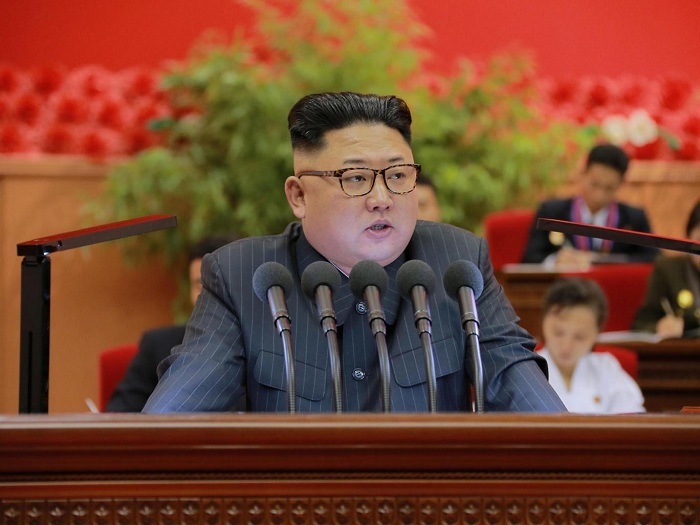 “What is needed is for the US to stop its current way of calculation, and come to us with a new calculation,” Kim said in a speech to the Supreme People’s Assembly on Friday, KCNA said. Trump said on Thursday he was open to meeting Kim again, but in his speech on Friday, the North Korean leader said the outcome in Hanoi had forced him to question the strategy he embraced last year of international engagement and economic development. “The second DPRK-US summit in Hanoi in February raised strong questions about whether the steps we took under our strategic decision were right, and gave us a sense of caution about whether the US is even really trying to improve the DPRK-US relationship,” Kim said, using the initials of North Korea’s full name, the Democratic People’s Republic of Korea. In Hanoi, the US came with “completely unrealisable plans” and was “not really ready to sit with us face-to-face and solve the problem,” Kim said. “By that sort of thinking, the US will not be able to move us one iota even if they sat with us a hundred, thousand times, and will not be able to get what it wants at all,” he said. Kim said his personal relationship with Trump is still good, but that he had no interest in a third summit if it is a repeat of Hanoi. At a summit with South Korean president Moon in Washington on Thursday, Trump expressed a willingness to hold a third summit with Kim but said Washington would leave sanctions in place on Pyongyang.